If you have any questions or want to enquire about dates, use our form to contact Matt Gruninger or see their website for more information. A magical, majestic place. You spy it on its hilltop as you turn off the main road half an hour from Lisbon, then head up a winding track lined with olive and cork trees. You’re greeted by enthusiastic host Matt, whose vision for this 18th-century mansion he’s so successfully restored is that it feels truly relaxing, without hotel-like constraints – you won’t find him tutting if breakfast runs over. A group could celebrate here memorably – an anniversary, a wedding, just being friends – and you’ll have a ball revelling in the lovely rooms, terrifically tall and elegant in 19th-century Portuguese and French Imperial styles: a crystal chandelier, a fountain alcove, 18th-century furniture, art and light fittings; one suite has Tibetan treasures, all have fine wooden flooring and great bathrooms. Lounge in the solar-heated swimming pool flanked by an old fountain and ornamental pond, visit the spa with its Turkish bath, sauna and massage rooms, sip something from the honesty bar; no restaurant but meals easily arranged. The surrounding forests are home to wild boar and eagles and it’s 10 minutes to the beautiful Arrabida beaches. Dinner with wine available on request €17,50-€25. Restaurants 10-minute drive. Extra beds/sofa beds €30-€50. Bikes €5 per day. This is a gem! Very warm welcome with a drink from Matt who was so accommodating as they had just had a weekend wedding and were not officially open! Elegant,spacious,comfortable and very relaxing. Glorious large pool,comfy loungers and drinks in the fridge in the kitchen. Spa available on request. Extensive grounds. We had dinner twice with pre-dinner drinks and wine and pudding wine outside under the moonlight in gracious surroundings. Matt could not have been more helpful and enjoyed our chats! Excellent value! Would love to return! We have just left after a lovely stay. Matt’s advice and suggestions were invaluable. Thank you to Patrick and Thierry for cleaning the car this morning. A beautiful house and a restoration to be proud of. We hope to return. Such a stunningly beautiful, historical house moulded into a fantastically comfortable hotel. Matt's warm personal welcome and his account of the history of this fascinating place, the wonderful bedroom and its special bathroom, the huge pool, gorgeous dinner and breakfast, little help-yourself bar and deep sofas make it a great place to allow yourself to be pampered! We so hope we can return - this time for longer! This is my husband and myself's second visit to Quinta da Conceicao, Azeitao. I would highly recommend this beautiful restored baroque manor which has been lovingly restored over the past 5 years. We chose to "stop 'n flop" by the pool but used it as a base for visiting local beaches (15mns), Lisbon city, castles and to see the locality. The care and attention to detail offered here is second to none and Matt is always on hand to offer his help and share his knowledge of the area. The accomodation is 5 star as is the delicious cuisine prepared from the fruit and vegetable garden on site. Quinta da Conceicao is a very special place, one of a kind! Extremely clean and comfy rooms, great shower and a proper hair drier(!). Communal spaces are amazingly welcoming and ideal for relaxing, spacious and bright, you only have to choose your preferred spot! I'll have to come back for the pool in the summer :) Matt, you couldn't have been a better host, you made us feel at home and your food was superb! "Ordinary" pastel de nata will never do justice to your delicious home-made ones! Thanks! Matt has really nailed and made this place gorgeous. He deserves all the accolades and business he will surely receive and is already now starting to receive. Visit it now before it gets booked out! 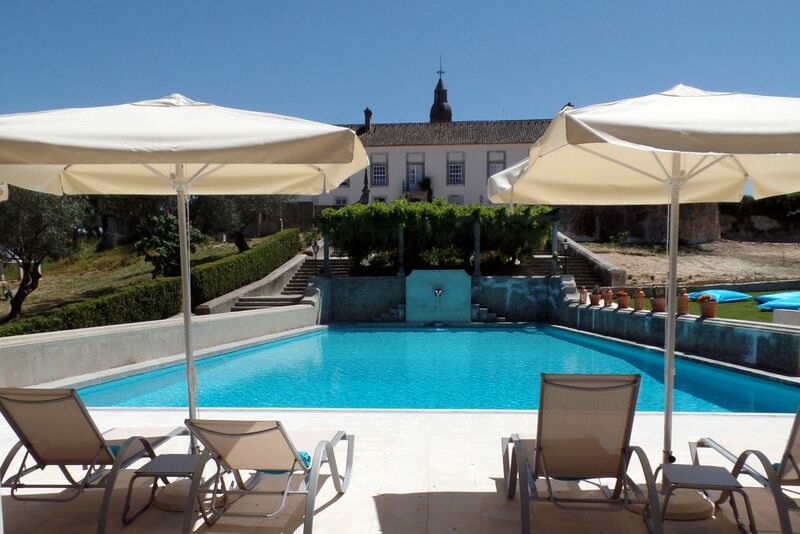 Stayed here for 3 days with our 6yr old son - we all loved it - it's great location - 45 mins Lisbon airport (allow 1 hr 10 mins at rush hour), close - 5 mins - to great towns & vineyards, 15 mins to various beaches. Superb bedrooms, proper bathrooms, great drawing room, fab solar heated pool - even in October warm enough for a 6yr old! Built in 1715 & restored with great respect. Nice one Matt! If you want or need peace, the most pleasing rooms and gardens (and pool), a tactful, relaxed host and two gorgeous little dogs to stroke then you must head here. It's so easy to get to Lisbon if you crave the buzz of crowds and want to do serious sightseeing, but it will be wrench to tear yourself away. I enjoyed Matt's dinners and I think he provides everything you could need wrapped in discreet luxury and good taste. Everything about this special place is pleasing: the sense of spaciousness, the generosity of the host, the expansive skies and gardens, the deep stillness. Matt's aesthetic sense informs everything from the carefully placed furniture and pictures to the perfectly proportioned salt water pool. He is the epitome of hospitality, tactful, attentive but gentle in his ministrations and a good cook too. A perfect place to unwind, think, write or paint. Caterina gives a good massage and pedicure in the spa. Azeitão is famous for its gastronomy. There are wineries to visit, cheeses to taste and cakes to try. The very best and freshest fish and seafood is on offer in nearby Sesimbra and Setubal. Along the Costa Azul there are beaches to suit all tastes from the huge waves at Meco to the bustling seafront of Sesimbra to the crystal clear waters of the beaches of Arrabida. There is a wide range of watersports available. All within easy reach. The Arrabida mountain and Natural Park is on our doorstep, providing a wonderful location for walking hiking or cycling. There are stunning viewpoints from the top and a unique biodiversity of plants and animals. Lisbon is just half an hour away by car or train, so it is easy to spend a day or two exploring this most beautiful and vibrant city. Sintra is just an hour's drive. Take a trip to the Sado Estuary with it's colony of bottle-nose dolphins and its wetlands rich with birdlife. Visit the ancient tidal mill. Try some famous oysters. There are half a dozen good golf courses within easy reach. Quinta do Peru is next door and Troia, Aroeira, Ribagolf, Belas and others within an hour's drive.